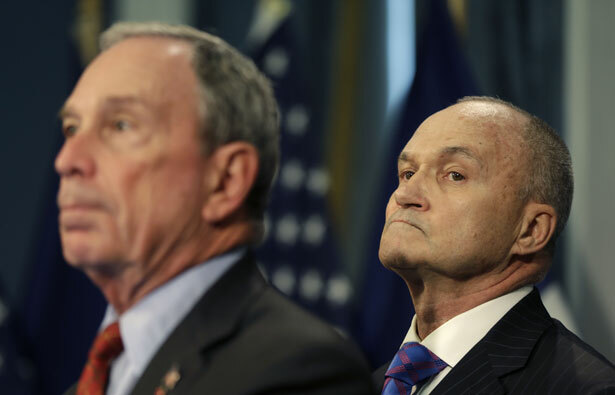 How Long Will New York City’s ‘Stop-and-Frisk’ Reforms Remain in Legal Limbo? Yesterday, the city took their fight to keep the controversial policy to a federal appeals court—and civil rights advocates pushed back. The circumstances surrounding the New York City Police Department’s stop-and-frisk policy are making a segment of the city fearful and uncertain, afraid even to do their jobs, lawyers told an appeals court panel yesterday. Remarkably, the lawyers weren’t talking about the young black and Latino men overwhelmingly targeted for stop-and-frisks. Rather, they were bemoaning the plight of the police, who they say have been at sea ever since Judge Shira Scheindlin determined in August that their stop-and-frisk habits were unconstitutional and racially discriminatory. To remedy the suffering of the police on this account, lawyers for New York City, the police unions and a lawyer speaking on behalf of former Mayor Rudolph Giuliani urged the three-judge panel of the US Court of Appeals for the Second Circuit to impose a stay on Scheindlin’s order yesterday. “The opinion is already having an effect on policing in New York,” Celeste Koeleveld, a lawyer for the city, told the court, noting that stops are down 50 percent citywide. Officers are now “hesitant to use a very, very important tool” in policing, she said. City and union lawyers also sought to portray Scheindlin’s order as an excessive judicial intrusion into the city’s executive functions, undermining the political accountability of the Police Department. Lawyers for the plaintiffs in the case, Floyd, et al., v. City of New York, et al., dismissed the suggestion that the order was having a debilitating effect on the police department. For one thing, said Darius Charney of the Center for Constitutional Rights, the supposed “chilling effect” bemoaned by the NYPD and its supporters, the 50 percent drop in stops, dates to the first half of 2013—before the Floyd trial had even concluded. The City is appealing Scheindlin’s order to the Second Circuit, but it’s not clear that any of the judges considering the stay yesterday will hear the appeal. Even so, it can’t have been encouraging for Charney and his colleagues to hear the criticism two of the judges had yesterday for the aggressiveness of the Floyd order, which imposes an external process on the police department, presided over by the court and overseen by a court-appointed monitor, rather than trusting the police to reform themselves. One hardly has to reach back to 1960s Alabama to find precedent for Scheindlin’s order, though. “Los Angeles, Detroit, and Pittsburg have been subjected to exactly the procedures that in this case are being called immediate and irreparable harm,” said Matthew Brinckerhoff, a lawyer representing Bill Lann Lee, a former assistant attorney general for civil rights in the Clinton Administration. As Lee’s amicus brief makes clear, corrective oversight like that ordered for the NYPD has been imposed in nearly two dozen other cities in the not-so-distant past, and it’s generally been beneficial. Judge Walker seemed unconvinced that the NYPD policy was racially targeted. “Can you point to one statement by any police official saying they’re going to enforce the law against a particular group?” he asked Charney dubiously. But if the panel of judges subjected the Floyd plaintiffs and their allies to close questioning, it showed at least as much skepticism towards the City lawyers’ claims that the Floyd order constitutes an “immediate and irreparable harm”—the standard that must be met to justify staying the order. For one thing, City attorneys have hardly been in a rush to ask for the stay. “It seems to me that the city has been dragging its feet, and dragging its feet quite deliberately,” Judge José A. Cabranes told Koeleveld. Although claiming dire harm from the lower court’s order and ostensibly trying to stay it on an expedited schedule—which in other cases can yield a ruling in as little as a few days—the City is actually pursuing a schedule that will last into next spring. Timing is all the more significant because New York City will have a new mayor in a matter of months, and it will almost certainly be Bill de Blasio, who has spoken out sharply against the NYPD’s current stop-and-frisk regime, including with his own amicus brief in his current capacity as public advocate opposing the NYPD’s request for a stay. “The public advocate is dying to have the Police Department run by the US District Court for the Southern District of New York,” Judge Cabranes said. Whether or not de Blasio would put it that way, he’ll certainly have a different approach than his predecessor, which raises the question of what role the court should play in the face of an imminent change in administration. After an unusually long afternoon of arguments, the court ended the day without giving an indication on when or how it will rule on the motion to stay the lower court’s order. Regardless, it’s clear that the decision on the stay will ultimately have less impact than the City’s appeal, which, if the next administration continues to pursue it, could take years more to wind through the courts. Related: When they booed New York Police Commissioner Ray Kelly off the stage yesterday, Brown University students declared racism had no place in their intellectual discourse. Nick PintoNick Pinto is a freelance journalist living in Brooklyn who writes about criminal justice, civil liberties, and radical politics, among other topics. He can be reached at nickpinto.net.